A kitchen countertop can not only make your kitchen area attractive but also provide several benefits. For one, high-quality and multi-functional quartz countertops can serve as an extension area where you can prepare and serve food. Also, kitchen countertops can also be extra storage areas for some of your kitchen equipment and tools. However, even the most expensive and high-quality countertop can be prone to some kind of damage over time. That is why it important to provide the utmost care for your countertop so you can use it for several years. Also, make sure to choose countertops only from the best granite companies near your area. After all, a countertop can be one of the most important investments you can make for your kitchen and your home in general. When should you replace your countertop? Having cracks in granite countertops or whatever countertop material you have is not normal, to say the least. Aside from making the countertop look unsightly and dirty, bacteria and other harmful elements can seep through the cracks that can contaminate your food. Normally, countertop cracks can be repaired. However, it can be challenging to find a material that can perfectly match your original countertop. On the other hand, repairing the crack(s) yourself can make it look worse especially if you are going to do this the first time. Any presence of stains and burn marks can also make your countertop look dirty and old. It may still some marks even if you wipe the stained area vigorously. You may also find some stain removal formulas in the market, or discover a DIY one online. But be careful with these, as the ingredients may further damage the countertop material instead. Unless these unsightly marks don’t bother you, it is advisable to have your old countertop replaced. Your current countertop may have been in your home for years without undergoing any repairs or design updates. However, home improvement trends also undergo changes over the years. In other words, kitchen countertops may go outdated too, and it may include yours. For the newest trends on countertops, you can consult the best granite contractors near you. Outdated furniture and other home décor and equipment can turn off potential home buyers. So if you are planning to sell your home, make sure to do necessary changes and repairs to make it look more attractive, fresh, and updated. Replacing an entire countertop can be expensive, especially if you are considering changing into brand-new granite kitchen countertops. That is why it can be more practical to do some repairs instead of completely changing your current countertop. As mentioned, replacing an entire countertop can be expensive so doing repairs instead can be more practical. However, you should also consider what kind of repairs your countertop needs depending on its material. Before doing this, make sure to consult countertop experts near you. If you already have a granite or quartz countertop, you can consider applying sealant to make it look like new again. Ideally, resealing your countertop should be done once every few years to achieve its maximum look every time. Some countertop materials require a higher level of maintenance such as granite and quartz. Nonetheless, all countertops should be maintained regularly regardless of your chosen material. Not all countertop materials are priced the same. That is why it is important to choose one that is reasonably-priced, one that will meet your expectations in terms of maintenance and design, and one that will last you several years. There are a lot of countertop contractors out there. That is why you should choose a company that offers the best countertop replacement in Raleigh NC. Also, the company should also be able to work well with their clients and offer topnotch products and overall customer satisfaction every time. Marble countertop will give your kitchen a luxurious look and make it more appealing. The kitchen countertop comes in a variety of colors and grains, and you will find one that suits your style. In this article, we tell you the advantages and disadvantages of marble countertop. You need to understand how to maintain your countertop to keep it looking good for years. If you cook frequently, then you will be happy to know marble countertops are heat resistant. The countertop is resistant to heat up to a certain level. It’s therefore important to ensure that you don’t expose the countertop to too much heat. To maintain your countertop in good shape use trivets and pot holders when removing pots from the oven and avoid setting the hot pot on the countertop. Placing hot dishes on the countertop will discolor and may cause burn marks on the countertop. After the countertop has been sealed it becomes stain resistant. It’s important to ensure that the sealing process is done professionally. Failure to seal the countertop properly will make it porous and prone to stains. You need to keep sealing the countertop often to avoid stains and bacteria. It’s best to let the marble installer seal your countertop for best results. Marble maintain its look for a long time if well maintained. Avoid placing heavy weights on your countertop to avoid cracks. Marble countertops will last for a lifetime if well sealed and maintained. With proper care, you enjoy your marble countertop for years. Compared to other countertops marble is easy to cut, and you can create different designs and complex shapes. If you want to create a unique complex countertop, then marble is ideal. Marble is readily available from the granite company. If you are looking to buy marble countertop, visit the marble dealer near you for a variety. Marble stones stand out due to their timeless beauty. The countertop will never go out of style. It has beautiful veining that gives it a unique and outstanding look. If you need a countertop that you can use to complement your kitchen design, then marble countertop is the most ideal. Marble is porous, and that makes it susceptible to stains. If your countertop is not properly sealed then your countertop will be stained. Acidic liquids and spills can cause your countertop to stain. It’s therefore important to ensure that your countertop is well sealed. Avoid spilling acidic liquids or using abrasive items on your countertop because that remove the sealant and make the countertop vulnerable to stains. Acidic liquids such as bleaches will remove the sealant and cause etching. That will make your countertop vulnerable to scratches and stains. Make sure that you place a board when cutting acidic fruits like lemon. Marble is relatively expensive. The white marble is especially expensive. To get the exact cost of your countertop to visit the marble dealer and get an estimate. The amount you need for the countertop will depend on the size and how much the dealer charges per square foot. Work with the marble installer and determine the best thickness for your countertop. There are different kinds of marbles. Each marble is unique. Visit the marble dealer and choose one that suits your kitchen. Marbles are either in slabs or tile. Slabs are more expensive and seamless. It’s important that you follow the right maintenance procedure to keep your countertop look good for years. Don’t let spills sit on the countertop for long. Avoid using sharp and abrasive objects on the countertop. 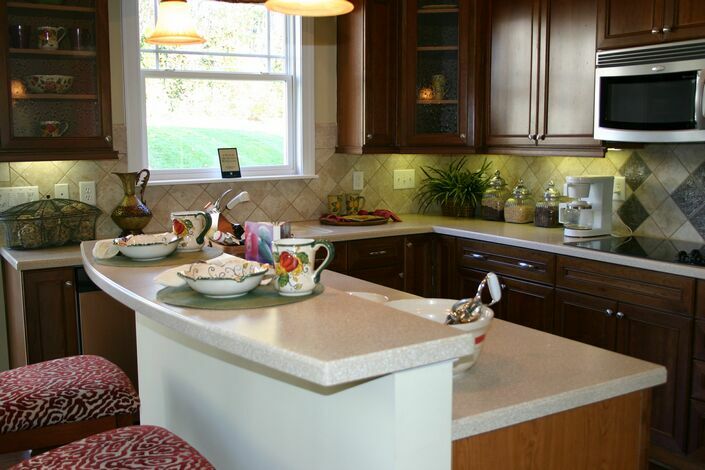 The countertop product NC you choose will determine the final look of the kitchen. When it comes to marble you can never go wrong. Marble countertop will give your kitchen a luxurious and make your house outstanding. The unique veining and styles make the countertop one of the best countertops. To make your home look expensive, consider using a marble countertop in the kitchen. Follow the care instructions as advised by the granite- marble installers. Countertops perk up the value of your home and make your kitchen more functional. Marble, quartz and granite countertop are durable, but they are not immune to damage. It’s therefore important to ensure that you take care of the countertop to retain their look and prevent irreparable damage. In this article we look at simple procedures you can follow to prevent damaging your countertops. Avoid using your countertop as the cutting board. Invest in a cutting board to avoid leaving marks on the countertop. Cutting or pounding heavily on the countertop will damage your kitchen countertop. If you have to pound meat make sure you don’t do it on the countertop. Exposing your granite or quartz countertop to too much heat will damage your countertop. Too much exposure to heat will cause the kitchen countertop to change color, crack or become brittle. Make sure you have trivets or hot pads before you place a pan on the countertop. You can also keep hot pans on the stove instead of placing them on the countertop. Although granite and quartz will not stain easily its important to wipe away spills immediately. However, if spills are wiped for a long time, they will result in stains. It’s therefore important to ensure that spills are wiped off immediately. Use a soft cloth and detergent to clean the spills. Granite countertop is durable, but if it absorbs moisture and dirt, it will begin cracking. Cracks and chips will occur when you place a heavy object on the countertop. Don’t step on the countertop when reaching for something in the cabinets. Your countertop is durable, but it will crack or chip when too much weight is placed on it. Don’t lean on the countertop because that adds extra weight and that could cause cracking. Granite and marble countertop require sealing. If not sealed the countertop will absorb moisture, and that could lead to cracking. The granite contractor will asses how busy your kitchen is and advise how often you should seal your countertop. Use high-quality sealant to ensure that the top is well sealed. Sealing the countertops will make them more durable, and they will look good for long. Make sure you countertops are sealed often to keep them nonporous. It’s imperative to follow the right cleaning and maintenance procedure. Follow the right cleaning procedure for your kitchen countertop. The granite countertop installers will advise you on the best cleaning detergent for your countertop. Most countertops will become discolored when exposed to the sun. It’s therefore important to choose the right countertop if you are thinking of an outdoor countertop. Granite is one of the best outdoor countertop material. Although granite can withstand the harsh environment its best to have your outdoor countertop enclosed. That will protect it from the harsh sun and prevent discoloration. Countertops are an investment and should be kept in the best state. The above simple tips will guide you on how you should maintain your countertop. It’s important to understand the kind of kitchen countertop in your home. Whether its a marble, quartz or a granite countertop Durham follow the care instructions given by the expert at the granite company. Your countertop will last long if you follow the right maintenance procedure. A well-maintained countertop will give your house a good appearance and a high value. Outdoor kitchen countertops give your family a place to enjoy and makes the valuation of your home to go up. Your family can enjoy the outdoors without the hassle of going back and forth for food. It’s important to ensure that the material you use for your outdoor countertop can withstand the weather change and still look good. Before you choose the material to use for your outdoor kitchen consult the granite countertop dealer on the best material for your outdoor countertop. The material you select should last long. The countertop material should be able to withstand the weather and the kind of kitchen work you expect to carry out. Make sure that the countertop you choose can withstand the weather change. The countertop you choose should be stain resistant. Before you choose the countertop make sure the countertop you select will work for your family. If you make most of the meals outdoor, then you need to choose a countertop that will withstand heat, stain, and exposure to weather elements. While most of the countertops are ideal for an indoor kitchen, they may not work for an outdoor kitchen. The outdoor kitchen may require a more sturdy and durable countertop. It’s important to choose a countertop that will withstand the weather and still look good. Below are reasons why you should consider using granite countertop for your outdoor space. Granite is a natural stone that is hard and durable. Your outdoor countertop material should be durable to ensure it last long. Granite countertops are hardy, and they will last a lifetime. Granite gives you the opportunity to choose a color that you can match with outdoor cabinets and other appliances. Granite is not only durable but also beautiful. There are different patterns that you can select to make your outdoor space unique. Granite is not easily damaged by heat, and that makes it ideal for an outdoor countertop. It’s however essential to ensure that you take care of the countertop and don’t expose it to extreme heat. Granite can withstand weather elements without losing the shine. When not in use its best to have your countertop protected to ensure that it last longer. It’s imperative to ensure that an expert installs the outdoor granite countertop. If the installation is not done correctly, it could result in cracks. 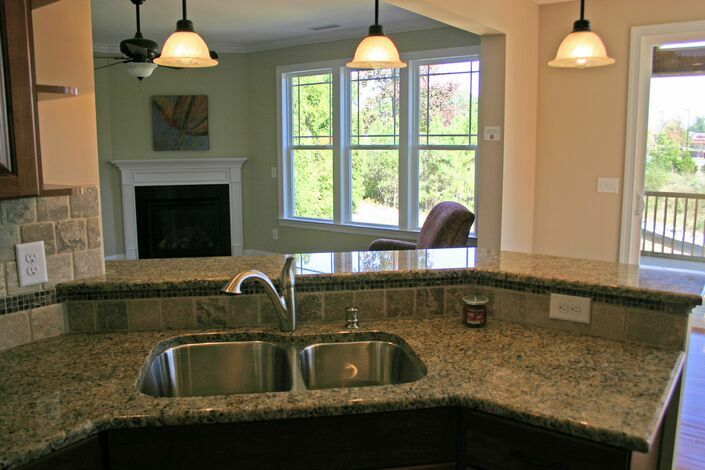 It’s best to have the granite contractor install the countertop to ensure proper installation. Clean the countertop after use. Use a mild detergent and water to wipe off any food particles and liquids. Don’t leave food and other particles on the countertop for long because that may stain the countertop. Avoid using harsh detergents to avoid damaging the countertop. Polish the countertop often to keep looking shiny. Seal the countertop. The granite countertop dealer will advise you how often you should seal the countertop. Failing to seal the countertop will expose your family to viruses that may cause diseases. Your outdoor countertop may need to be sealed more often than the indoor kitchen countertop. Granite countertop Durham is the best material to use for outdoor countertop. Granite will not only add value to your home but, also makes your outdoor kitchen space look more beautiful. It’s important to ensure that the installation is done by a professional granite installers Rockville for best results. Care for the countertop to ensure that it last longer. Kitchen countertops will make your upgrade more appealing and give your house a higher value. Whether it’s a granite, marble or quartz countertop it’s imperative to choose the right one. You need to ask the right questions and choose the right one. Do you want a modern look or a traditional look? What color of the countertop do you want? It’s important to determine the style you want to bring out. In this article, we look at mistakes you should avoid when choosing a kitchen countertop. Don’t rush through the choosing process and it’s best to consult the quartz-granite countertop dealer on how to choose a countertop. Each countertop will add aesthetic value and perks the value of your home. You can have a stunning kitchen and a durable countertop material. It’s therefore important to ensure that you choose the right countertop for your home. Make sure you choose a countertop that suits your kitchen. Below mistakes, you should avoid when choosing a kitchen countertop. If you run a busy restaurant you need a countertop that requires minimal maintenance. You need to consider how you use your kitchen and use the countertop that suits your kitchen and last long looking good. Granite countertops work well in a kitchen that is not too busy. Quartz countertops require minimal maintenance because they are nonporous and don’t require sealing. Consult the granite contractor and get help choosing the countertop that suits your kitchen. Countertops will come in different thickness and its best to consult the experts at the granite company. Consider the function of the countertop and choose the right thickness. The granite countertop installers will advise you the thickness that works for your kitchen. Putting two countertops together to achieve thickness may not be ideal. It’s important to inform the granite countertop installers the number of seams you want in your countertop. You don’t want seams that appear on the focal point of the countertop. Make sure that the seams in your granite kitchen countertop are not the focal point of your kitchen. Choose a countertop that matches or complements with the kitchen cabinets. 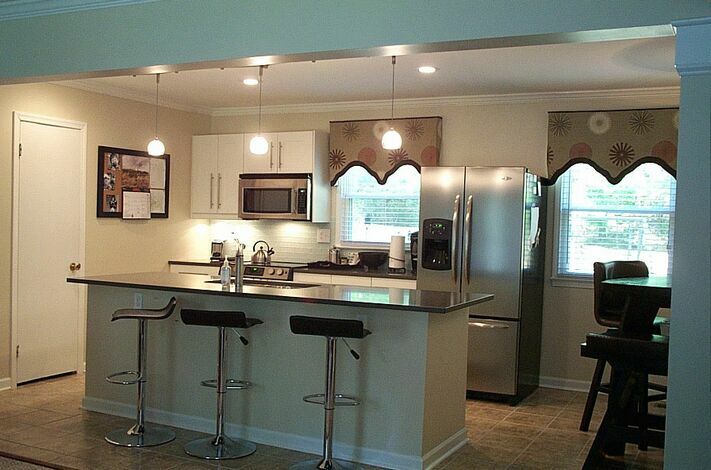 If you are remodeling the kitchen, consider the color of the cabinets and make sure they don’t contrast. The marble countertop dealer will help you choose a countertop that doesn’t mismatch with your cabinets. An under mount kitchen sink countertop will ensure your kitchen is clean and bacteria free. A top mounted sink may have bacteria around the edges making your kitchen unhygienic. With an under-sink mount, you can clean the countertop and sweep all the particles into the sink leaving your countertop sparkling clean. It’s important to have a budget to ensure you complete your countertop project. Make sure that you choose a countertop that is within your budget. You can visit the granite company and get a quotation for the various countertops. Choose the one that fits your budget. It’s imperative that you choose the right countertop for your kitchen. Consider your style, how busy your kitchen is and the one that fits in your budget. Choose a countertop that will make your kitchen appealing and one that will last long. The color of your countertop is important, however, it’s important to choose a countertop that is durable. Choose a countertop that will not get stained easily. It’s important to choose the right countertop for your kitchen. You can speak to the granite installers and get help in choosing the right countertop product NC material for your kitchen. Make sure you avoid the above mistakes and get the right countertop for your kitchen. Consult the granite contractor on how to choose the best countertop. Granite is one of the best countertop material, and if you are remodeling your kitchen, it’s one of the materials you should consider. Granite countertop Durham will give your kitchen a regal effect and, in this article, we tell you why granite should be your first choice. You can visit the granite company and consult on the best countertop material for your kitchen. One of the questions most people ask about granites is the cost. While granite is considered expensive, it’s cost-effective in the long run. Granite countertop will last a lifetime, and that makes it worth your money. It’s however important that you visit the various granite companies and get a quotation. Compare the price of the countertop and installation cost. Make sure that the granite dealer you choose is offering quality granite countertop at a fair price. Compare the thickness of the granite slab when considering the price. Granite comes in a variety of colors, and it’s important to ensure you choose the one that fits your kitchen. 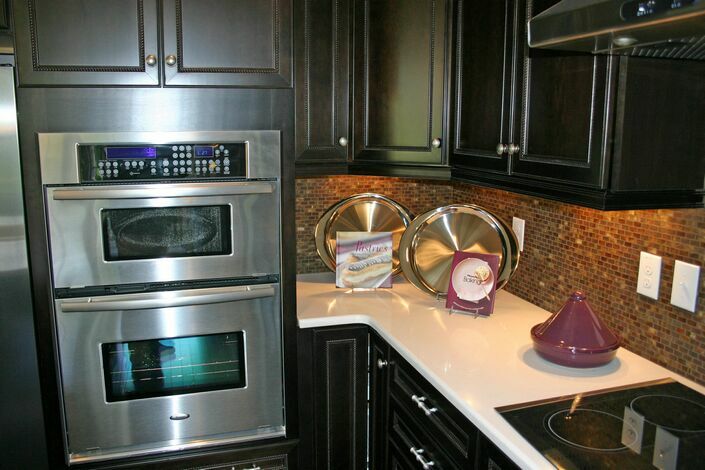 The granite contractor will advise you on the best color for your kitchen. You can carry a sample home to make sure the color and pattern is the right for your kitchen. Granite is a natural stone that can’t be replicated and that will give your kitchen a unique look. Granite is easy to clean and maintain. Make sure that your kitchen countertop is sealed during the installation process. Sealing makes maintenance and cleaning of the countertop easy. To clean use a mild detergent and a soft cloth to wipe out any spills. Make sure that any spill is cleaned out immediately and that will ensure that your granite looks good for a lifetime. Using abrasive cleaners will make your granite lose its shine. Consult the expert at the granite company on how to clean your granite countertop. Sealing the granite countertop will make it nonporous, and that prevent absorption of any spills. The granite dealer will advise you on when you should seal your granite. Make sure that you seal the countertop as required to prevent the countertop from absorbing any liquids. Before you seal the countertop make sure that it’s cleaned thoroughly. In case of stains, it’s easy to remove them using simple home remedies. Compared to most countertop materials such as quartz countertop, granite is one of the most environmentally friendly material. The countertop doesn’t contain any hazardous minerals, and that makes it ideal for your kitchen. Most homeowners want a countertop that has a lot of good qualities. Granite has the best qualities and can mimic more expensive stones such as marble. Granite will make your kitchen gorgeous and valuable. Granite is strong, durable and it will last a lifetime. You can enjoy your granite countertop for years if it’s well installed. If you are looking for a long-term investment, then granite is the perfect countertop for your kitchen. If you are hoping to sell your house soon, a granite countertop will perk up the value. Granite can be used in other areas of your home. You can use it in the kitchen, outdoor living space, and the bathroom. The versatile nature of the countertop makes it a good option to use in different areas. Since you can use the granite countertop in various areas of your home, that makes it easy to style and bring out a design. In your home. One of the qualities that stands out is the beauty of granite countertops. They are gorgeous and will give your kitchen a regal look. The natural look coupled with gentle hues makes granite one of the beautiful countertop. Granite is perfect for any kitchen. If you are looking for durability, beauty and an easy to maintain countertop, then granite is perfect. Let the installation be done by professional granite installers who can offer installation and sealing services. It’s imperative that you follow the right maintenance schedule to keep your kitchen countertop looking good for the years. The kitchen is the focal point of your home and its imperative that it has the ambiance and elegance you want. Granite has unique patterns and color and will ensure that you have a gorgeous kitchen. Selecting the right countertop color to match with your cabinets will make your kitchen gorgeous. It’s important to coordinate the colors that will bring out your style. The first step is to choose the right kitchen countertop, and then you can choose the cabinets that will bring out the beauty and perk the value of your home. Matching the kitchen cabinets and countertop will require that you match or complement them and still bring out the style without losing functionality. If you have a large family, you will need cabinets that provide enough storage space. To make it easier to match the cabinets and countertop visit the granite company that offers both countertop and cabinetry. When matching your cabinet and countertop consider your lifestyle. If you have small children, consider having base drawers and cabinets that are within reach for your children. Match the kitchen cabinets based on the kind of family you have. When choosing a kitchen countertop to choose one that suits your needs. Granite countertop and marble countertop require periodic sealing to keep making them nonporous. Choose the countertop that you can maintain and one that suits your kitchen. If you run a hotel, you will need a countertop that is easy to maintain. Quartz countertop is perfect for the high traffic kitchen because it doesn’t require periodic sealing and it’s easy to clean. During the kitchen countertop and cabinets makeover begin with the countertop and the match the cabinets and other décor in the kitchen. You can have the base cabinets and drawers matching one color of the countertop and the top drawers resembling the other portion of the countertop. The countertop dealer will help you choose the countertop that will match with the cabinets If you choose a granite countertop to make sure the color and veining you choose matches to your cabinets and floor. Decide the kind of style you want to bring out and choose the kitchen countertop that will help you achieve that. Cabinets are built from wood, bamboo, glass and other materials. Choose the color that gives your kitchen a warm feeling. You can match a black countertop with a white cabinet. It’s best, to begin with, a countertop and the match that to the cabinet. Your budget will determine the kind of countertop and cabinets that you install. Make sure that you stick within the budget. Granite and marble are more expensive as compared to tiles and other kinds of countertop. Visit the quartz countertop dealer and get a quotation on the various countertop. Choose one that fits your budget. You can also shop around for cabinets. Choose the kitchen countertop and cabinets that fit within your budget. The budget is a crucial factor when it comes to upgrading your kitchen but don’t compromise on quality. In the long run, it will be more expensive if you choose poor quality material. Have a realistic budget that you can follow. Decide which part of the kitchen is the focal point. Choose the cabinet or countertop to be the main attractions. If your kitchen countertop has different colors and patterns, then you choose that to be the focal point. Then select the cabinet colors and other décor. After choosing the focal point to choose the color scheme you want for various areas. It’s recommended that you keep the colors simple, and then you add bold accessories. You can use samples to see the outcome before the actual. Kitchen cabinets and countertops come in different type of materials. Decide the material that will suit your kitchen. Consult the granite contractor on the best material for your kitchen. Make sure the material you choose to brings out the best kitchen. Ensure you choose quality material to give your kitchen an expensive and high-class look. Consult the contractor on how to match the colors to bring out the best. Once you have chosen the materials, color and textures that will work for you make sure the installation is done by an expert. Let the granite countertop Raleigh installer do the installation to ensure the installation is done properly. Quartz countertops will add glamour to your space. However, it’s prudent to understand the countertop before you settle for it. Over the years quartz kitchen countertops have gained prominence due to their aesthetic qualities. In this article, we look why you should invest in quartz countertop and the cons you should know before you settle for the countertop. Your kitchen is the focal point of your home, and it’s therefore important that you ensure you choose the right kitchen countertop material. Quartz is made of crushed minerals and polymer resins. The resins ensure there are no spaces between the crushed minerals and that makes it nonporous. That will ensure that the countertop doesn’t harbor bacteria and it’s easy to maintain. If anything spills on the countertop, it will flow away rather than sink into the countertop. Quartz countertop is perfect for a high traffic kitchen due to their antimicrobial properties because they ensure your kitchen remains hygienic. You can be sure there are no bacteria that will be left on your countertop after a hectic day in the kitchen. Quartz countertop is man-made, and they are engineered to have a wide range of colors and styles. That will give a wide variety of colors to choose from, and you can match your countertop to your home décor. You can get both a matte and shiny countertop depending on your style. When remodeling or constructing a new home consider using quartz because it will give you an option to choose from without any limitation. It’s important to consult the quartz countertop dealer on the best style and color for your kitchen especially if you are remodeling and you already have other décor items in place. Quartz is durable and indestructible. The countertop doesn’t require any sealing before using because its nonporous. The nonporous nature of quartz makes it easy to maintain and clean. If you have a spill on the countertop, it will flow towards the floor and will not be absorbed. If you have a high traffic kitchen, then quartz countertops are perfect because they require minimal maintenance. Quartz can resist heat up to 200 degrees and its, therefore, heat resistant for the ordinary family kitchen. In case of burn marks, you can sand it down to remove the marks. Quartz is made of a hard quartz material, and that makes it scratch resistant. It doesn’t easily suffer from blunt and sharp objects unless there is severe exposure of the resin to a sharp object. That makes the countertop ideal even for busy kitchens. Quartz countertop is more durable and can absorb more impact than granite countertops. The resin that bonds the quartz minerals makes the countertop strong and serve as a shock absorber dispersing the impact energy even before it gets to the hard part of the stone. The crashed granules offer flexibility and also assist help to disperse the impact. Quartz is nonporous, and that helps resist liquids oils, and that makes the countertop stain resistant. While quartz is heat resistant to a certain level, high heat levels will make the countertop to carve in. It’s therefore important to invest in trivets especially if a lot of cooking happens in your kitchen. Unlike granite countertops, quartz fades when exposed to weather elements, and it’s therefore not ideal for an outdoor kitchen. Quartz countertop is an extremely durable and good option for the most kitchen. It’s imperative that you evaluated your needs and style and chose the color that will give your kitchen that regal effect. Its always advisable let the professional quartz -granite countertop installer fix the countertop products NC you choose, for best results. Make sure you follow the required maintenance routine, and you can enjoy your countertop for years. Kitchen countertops are meant to last a lifetime but that is not always the case. There are certain circumstances that necessitate countertop replacement. A new kitchen countertop will not only make your kitchen more functional but will also add charm and increase the value of the home. In this article, we tell you signs that your kitchen countertop needs replacement. During the replacement, it’s best to work with a professional granite countertop installer to ensure the best outcome. If your countertop is cracked and there is no way of sealing the crack, then it’s time for a countertop replacement. Too much weight on the countertop will cause it to crack and that may leave you with replacement option. Granite countertop or quartz countertop are good options for replacement. Make sure you let the granite installers do the installation. Avoid putting too much weight on the countertop to prevent cracking. Poor installation process may also cause your countertop to crack and its therefore important to work with an expert who knows how to install a kitchen countertop well. If your countertop has stains and burns marks that you can’t remove, then it might be time for a new countertop. A counter with burn and stain marks will make your kitchen look old and unkempt. Visit the granite company and choose the countertop that can withstand stains and stains. Avoid placing hot pans on the countertop. Before listing your home for sale, consider replacing the kitchen countertop because that will perk up the value of the countertop. A new granite countertop will give your kitchen and home a new appearance. A new kitchen countertop will increase the value of you of your home and you sell your home at a higher value.The improved home appearance will also make it easier for you to make the sale quickly. One of the easiest ways to upgrade your kitchen is to change your countertop. A kitchen countertop will give your kitchen a new look. Replacing kitchen countertop is easy and that will give your kitchen a trendy look. If your kitchen has an old countertop replacing the countertop will give your kitchen a trendy and modern look. If your countertop is outdated and out of style considers changing the countertop. An out of date countertop will make the kitchen look old. Granite countertop doesn’t go out of style and no matter your style you will find a countertop that will fit your kitchen. A kitchen fire can cause structural damage to your countertop and that will require a replacement. When doing the countertop replacement make sure its done by the quartz dealer. If you are expanding your kitchen, you may need to get rid of the old countertop and install a new one. You may want to change the countertop to match the rest of the kitchen. If one of the family members has a special need you may need to change the kitchen countertop to accommodate a wheelchair. If you notice etch marks, then you need to invite the granite installers to seal your granite. In case you notice fissure, you need to repair the fissures before applying the sealant. It’s important to consult the granite dealers before applying the sealant. If you notice moisture rings, then it’s time to add a new layer of sealant. It’s important to choose the right countertop for your kitchen. Consider the traffic in your kitchen and choose a counter that will last. While replacing your countertop make sure it’s done by the granite-quartz installers for best results. Proper care and maintenance of the granite countertop Durham or the marble countertop will ensure that it last longer.